Located on the picturesque shore of Banderas Bay and at the foot of the majestic Sierra Madres, Puerto Vallarta is the perfect vacation destination for outdoors enthusiasts. Our professional guides will lead you on an exciting zipline adventure through the lush emerald canopies of the Sierra Madre Mountains. 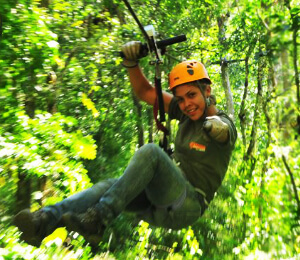 You'll experience a one-of-a-kind view of this ecological paradise as you glide through the treetops. Our experienced staff takes pride in providing a fun, educational, and safe eco-tours in the amazing natural environment of the Sierra Madre jungle. The diverse amount of exotic plant and animal life in this region will amaze you. You'll witness the beauty of brilliantly hued orchids, wild vanilla plants, singing parakeets, vividly colored parrots, spikey agave, as well as iguanas. These tours are not only perfect for thrill-seekers but nature enthusiasts as well. Our English fluent guides are thoroughly trained to take every precaution to ensure our clients' safety by following strict safety procedures and meticulously inspecting our top-of-the-line equipment. 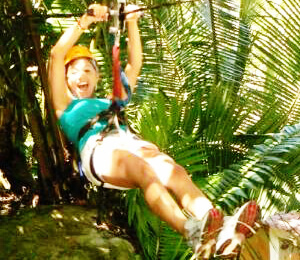 Zip on fourteen different cable ziplines through the jungle canopy of fabulous Los Veranos nature sanctuary. Slide into the refreshing waters of the Orquidias River before sampling local Mexican cuisine and an array of tequila. 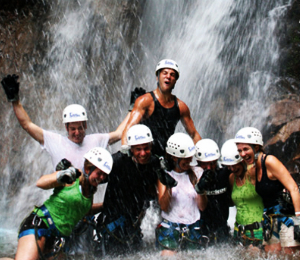 Ride through the jungles of the hit movie Predator on our Canopy El Eden Tour. Then try our delicious Tequila and Raicilla drink on our tequila tour! 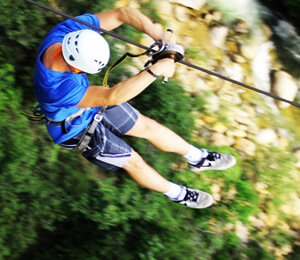 The journey out to our thrilling zipline course is an adventure unto itself. First, ride in a speed boat to a remote beach, and then head offroad in our four-by-four Unimog before riding a mule up the mountain to the zipline starting point. 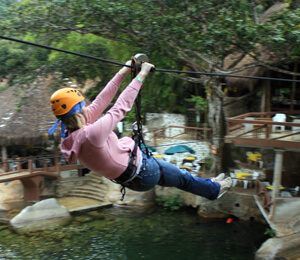 Located in a protected tropical forest right outside of Puerto Vallarta, in this tour you will fly through a beautiful treetop canopy on Mexico's longest and fastest zipline -- at over 1.2 kilometers (or 3/4 of a mile) at speeds of up to 100kph (or 60 mph)!